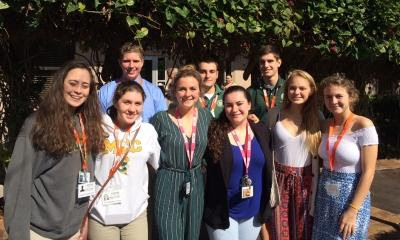 Last Thursday, nine members of MCC&apos;s Science National Honor Society visited Ascension Catholic School to judge their Science Fair. Some of our students judged elementary school projects, and others judged middle school. It was a valuable opportunity for our students to experience the behind the scenes of a science fair. They were very impressed with the quality of the projects!